The software industry which also works on-line put available to anyone, free virus scan services that you can get for free and you can run on your system. With this you can examine and identify what virus are those that threaten your computer. However, the service is restricted, it only detects viruses, and it does not eliminate them. 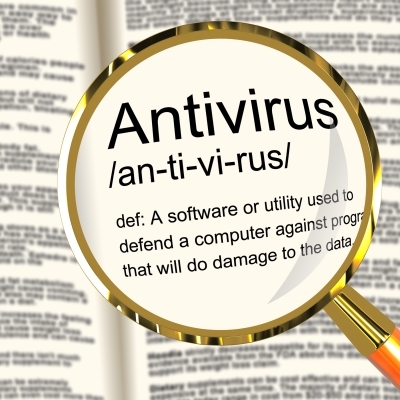 In this article you will find out about the best antivirus options you have in the market and which offer enhanced services that are a great alternative to detect threats that your common antivirus could not recognize. This specialized software developed by Panda Software works with TruPrevent technology, which is a system that allows you to detect malware not yet identified. This is possible if an update is performed daily. For this, there is no need to download any plug; you just should be connected to the internet. Besides malware, Panda ActiveScan finds easily any threat or vulnerability of the system, even if they are unknown. Finally, it prepares reports of threats detected and throws you summary results of the review of the protection installed on your computer. This tool is very useful for running tests to identify different types of online threats to which your computer is exposed. For this test it uses check exposure to hackers, access check to unauthorized communities on the Internet, vulnerability checking in Windows and it checks your computer’s exposure to viruses like Trojans. Although it cannot examine compressed files, it is very useful, since form its analysis it is offered several recommendations. Dr. Web is a tool created and distributed by Russians. The virus scan tool does not require installation of any previous file. This software system is based on a comprehensive list of viruses identified and compiled by the makers of this program, which should be used as initial resource to analyze the presence of viruses. The limitation is that it only supports Windows operating system), it cannot examine compressed files, or emails. This is an application that allows examine, verify , identify and remove viruses Trojans, unwanted plug-ins and various malware. The advantage of this software is that it has a quick check option, which reduces analysis time to give you a quick revision of the system. It also has Smart Scan technology, which offers patterns protection in the cloud. This makes her position as recent protection software. Finally it is important that you are clear that these programs do not completely eliminate the virus from your computer, they are only tools of first use to give you an idea of the state in which your computer is. If you want to completely eliminate the virus, the same creators of the software companies offer free paid programs that let you do it permanently. Anyway, if you do not have money and want a permanent protection, the free programs are a good option.